An exhibition of works exploring the themes and ideas that formed the language of art in twentieth century Europe. In the early 20th century Stéphane Mallarmé was the French poet whose ideas inspired Cubism, Futurism, Dadaism and Surrealism in France and Europe. During this period Paris was still the place to go for artistic training and after the First World War was a cheap place to live, with a thriving artistic community from all over the world. Many British artists visited Paris and knew Picasso and the Paris avant-garde well, but failed to embrace the new ideas they encountered there and almost no equivalent British ‘-ism’ emerged despite this complex network of connections. 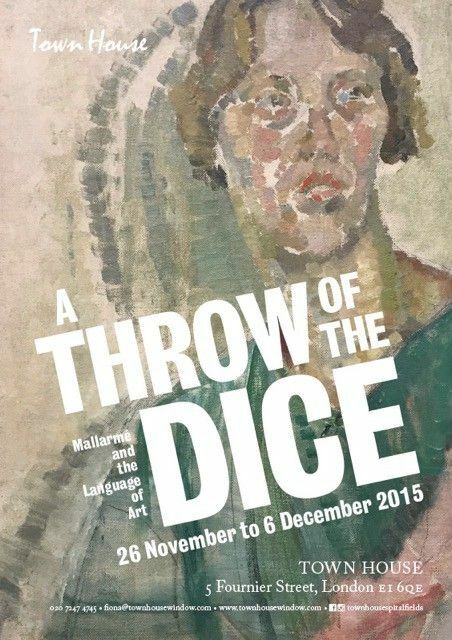 This exhibition is an exploration of that theme and the title is taken from the central idea of Mallarmé’s last great poem: ‘all thought is a throw of the dice’.